group’s debut album bearing the same name. banter were in for quite a shock. 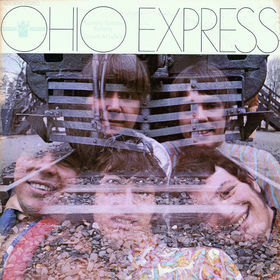 kicks, “Ohio Express” clearly exposed a completely different side of the band. They were known originally as "The New Breed" but then Neil Bogart,head of Cameo,their label before Bogart took them over to His newer label Buddah,changed it to a more accepted name...they however still recorded under "The New Breed" for Super K records.